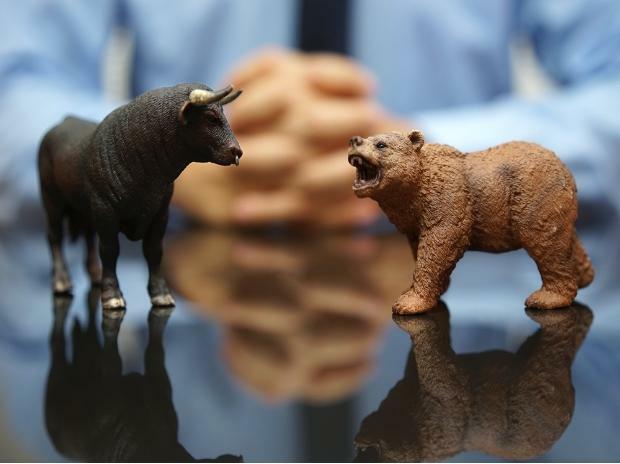 Key global developments like the IMF's prediction of a continued slowing global economic growth, including in India, and escalation in trade tensions between the US and the European Union are likely to steer the benchmark indices on Wednesday. The International Monetary Fund (IMF) on Tuesday moderately scaled down India’s economic growth projection to 7.3 per cent for the current financial year from its earlier forecast of 7.4 per cent. The IMF also scaled down the global economic growth to 3.3 per cent in 2019 from 3.7 per cent, forecast earlier. In another key development, US President Donald Trump has threatened to impose US tariffs on $11 billion worth of European Union products, thus opening a new front in his global trade war. On the Brexit front, European Council president Donald Tusk has asked EU leaders to consider offering the UK a delay to Brexit of up to a year, with the option of leaving earlier if a deal is ratified. The EU members will vote on the proposals later in the day. Also, the European Central Bank (ECB) policy decision is due Wednesday while the US Federal Reserve will release the minutes of its March meeting. Back home, investors will also track closely company results announcement, stock-specific action, movement of rupee against the US dollar, oil prices and FII inflows. Key stock benchmark indices ended over half a per cent higher on Tuesday. The S&P BSE Sensex added 238 points or 0.62 per cent to end at 38,939 while the NSE's Nifty50 index ended above the 11,650 level at 11,672, up 67 points or 0.58 per cent. MSCI’s broadest index of Asia-Pacific shares outside Japan dropped 0.1 per cent, a day after it hit eight-month highs while Japan’s Nikkei lost 0.9 per cent. SBI has cut MCLR across tenors by five basis points and made home loans cheaper. Vodafone Idea's Rs 25,000 crore rights issue opens today and closes on April 24. Jet Airways lessors have applied for de-registration of seven more planes, according to DGCA. Moreover, the Jet Airways pilots body has served a legal notice to management for salary delays and set April 14 deadline. Usha Martin, Tata Sponge Iron: Usha Martin completes sale of its steel business to Tata Sponge Iron. Mahindra & Mahindra: Ford Motor Co is nearing a deal with Mahindra & Mahindra to form a new joint-venture company in India, Reuters reports. Indian Overseas Bank reduces MCLR by five basis points across various tenors with effect from April 10. One-month MCLR at 8.3 per cent and one-year MCLR at 8.65 per cent.